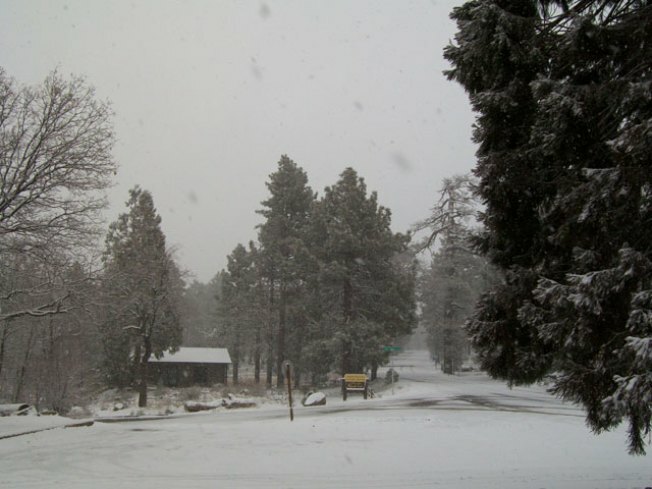 Images of snow at 6100 feet from the Laguna Mt. Lodge. The rain from this cold, April storm started to fall around 3:30 a.m. Wednesday, soaking the highway for morning commuters. Before 5 a.m., downtown had received .35” of rain while Spring Valley had received .18” according to forecaster Whitney Southwick. Snow fell as low as 2600' covering cars and decks in Campo. "Certainly we get snow even lower than this every now and then - I mean, it's even been known to snow in downtown San Diego, but it's still pretty rare to see snow in places such as Campo, Jacumba or Jamul, especially when the latest computer models had the snow staying at or above the 4000'," said Southwick. Images sent from the folks at Laguna Mt. Lodge show snow-covered meadows and trees at 6100'. The National Weather Service (NWS) is forecasting the rain should slow in the afternoon and end by this evening. Along the coast, the NWS has issued a high-surf and rip-current advisory until 3 a.m. Friday. Frequent breakers between 6 and 8 feet are likely -- and that means if, for some reason, you are headed to the beach, be extremely cautious. Around 11:30 p.m. Wednesday, the lights went out for thousands of residents. San Diego Gas & Electric officials reported 17 separate outages at the peak of the problem. Power was restored by around 1:30 a.m. Thursday. SDG&E released information later Thursday blaming the outage impacting approximately 250,000 customers on a request from the California Independent System Operator (Cal-ISO). "At approximately 12:15 this morning, the California Independent System Operator requested that SDG&E curtail 310 megawatts of power due to a transmission emergency. SDG&E complied with this order and dropped load electronically at 17 differrent substations affecting approximately 250,000 customers throughout our service area. 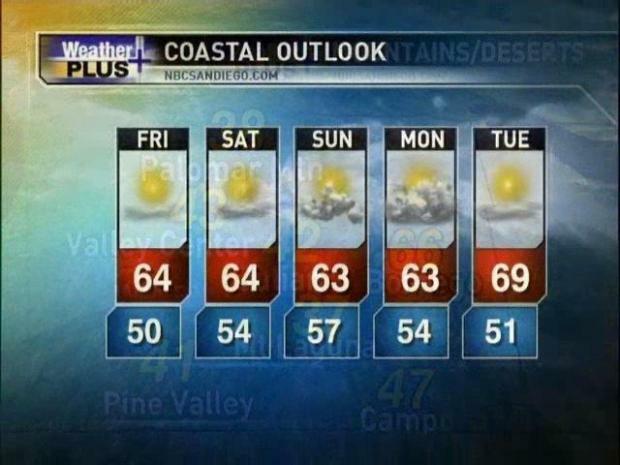 All power was restored by 1 a.m."
Whitney Southwick gives you the Morning Forecast for Thursday, April 1.